When you’re looking to buy a home for the first time, it is common to find yourself overwhelmed with the amount of information available to you from friends, family, and the internet. Information overload can leave you feeling unsure where to start. We’re here to tell you that the easiest and most helpful first step is: a pre-approval. A mortgage pre-approval is an application to find out how much mortgage you may qualify for and at what interest rate. You can submit this application quite easily with a mortgage broker. The broker will take your financial information, compile it together, and submit it to multiple lenders simultaneously. Then the broker will give you a report about which lenders may approve you and for how much. The benefit of doing this through a mortgage broker is that it counts as only one hit to your credit, as opposed to going to multiple lenders and having them each do a pre-approval. (Doing this can actually hurt your credit so much that you can no longer get approved.) And, it’s free with no obligation to follow through with a home purchase. Once you’ve received your pre-approval you’re ready to go house hunting! The broker will secure your pre-approved interest rate for a short term period (90-120 days) so that you’ve got time to find the home you want without worrying about the possibility of increased interest rates. With a pre-approval in hand, sellers will know you’re a serious buyer. Pre-approvals can often take a few days to process. When you’ve found the home you want, you don’t want to miss out on making an offer because you’re waiting on the pre-approval. Get it done beforehand so you’re prepared the moment you find the home you want! A mortgage broker will take all your financial information: income, debt, and assets. Then, with permission, they will pull your credit score. Based on this combination of information, lenders will approve you for interest rates and specific maximum lending amounts. Your maximum affordability is the most a lender will agree to lend you. With this budget in mind, you will be able to find a realtor who will then limit your property search to your price range. Keep in mind, you do not have to use the maximum amount offered to you by your lender. Take a look at your financial habits and make the best choice for yourself. 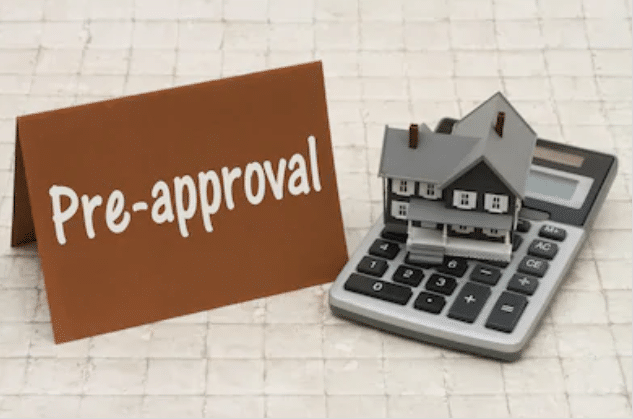 When it comes down to it, a pre-approval is a road map to your home buying journey. Contact us today to get started, or try our quick online pre-approval application.